At last! 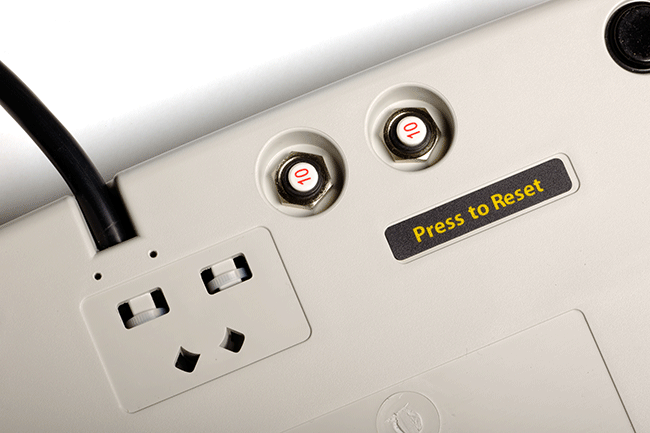 It's possible to control electrical appliances with either switches or NOW your iPad! Standard wired switches. - Plugged directly into the iClick. 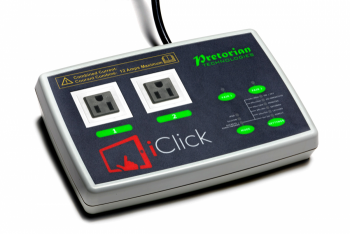 Simply-Works Wireless Switches – Paired directly with the iClick. An iPad** – using the free of charge iClick app, available from the App Store. Direct- Appliance/toy is powered for as long as the user touches the switch or the iPad screen- a great way to teach cause and effect. Latching- Touch once for on and again for off. Timed- One touch turns the device on for a preset period of time. Cooperation- Requires two users to work together for the device to turn on and off- great for teaching social skills and cooperative play. On/Off- One switch turns on the device and the other turns it off. Two independently controlled A/C electrical outlets. Ultra-safe wireless control of electrical appliances. Fully supports SimplyWorks wireless switches. Two 3.5mm switch input sockets for all types of wired switch. Interference free operation at up to 60 feet distance. iClick app available free of charge from App Store. Seven control modes selected from the iClick app. 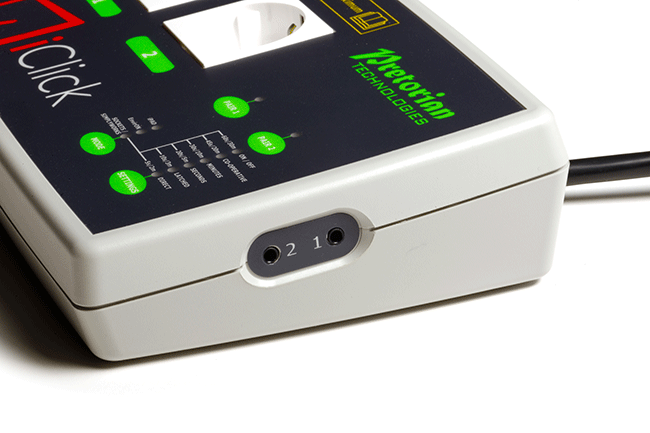 Four modes provide independent switch operation; three give cooperative control. 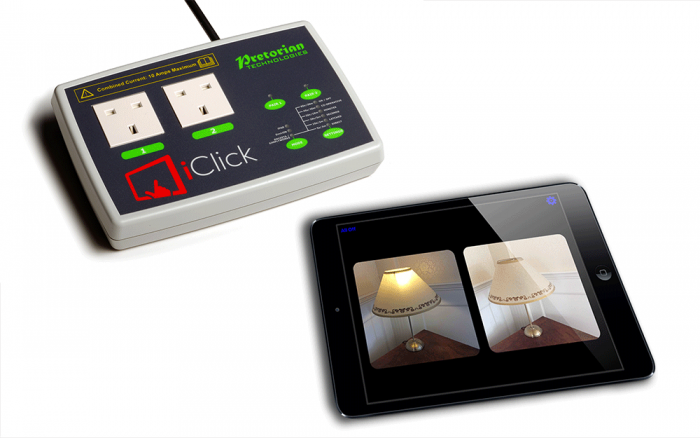 The iClick App can also be scanned using iOS Switch Control by users who can’t use the touch screen. **Supports iPad 3 and later only (iPad not included). Please Note - Requires iPad 3, iPad Mini, iPad Air, iPad Pro or later. Will not work with First Generation iPad or iPad 2. iClick & iControl use Bluetooth Low Energy (Bluetooth 4.0) to communicate with the iPad. This feature was introduced with iPad 3 and iPad Air and is also available on all iPad Mini. Earlier devices will not work.